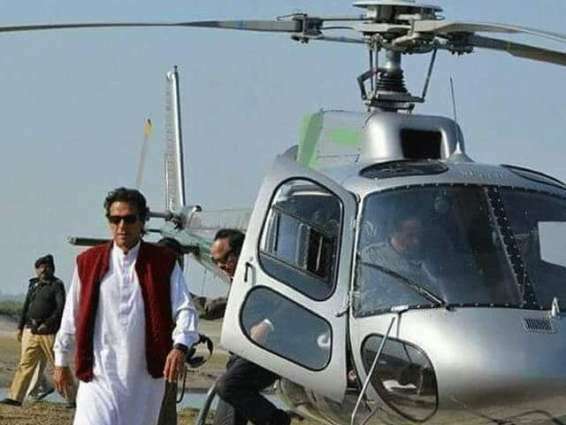 Prime Minister Imran Khan’s helicopter commute costs Rs 50-55 per kilometer according to Information Minister Fawad Chaudhry. This claim was made in an interview to a local news channel. The interview started off on the topic of Punjab’s chief minister’s usage of a private jet to travel with his family to the capital city. “There’s no issue if the Punjab chief minister travels with his family on a private plane”, Fawad Chaudhry replied. Regarding the use of helicopter by Prime Minister Imran Khan, the Information Minister said “PM Imran has the right to utilize all the perks offered to his office. This doesn’t affect the public”. Keep in mind, PM Khan is already facing an inquiry in the National Accountability Bureau for his excessive use of government helicopters during the PTI’s previous tenure in Khyber Pakhtunkhwa.